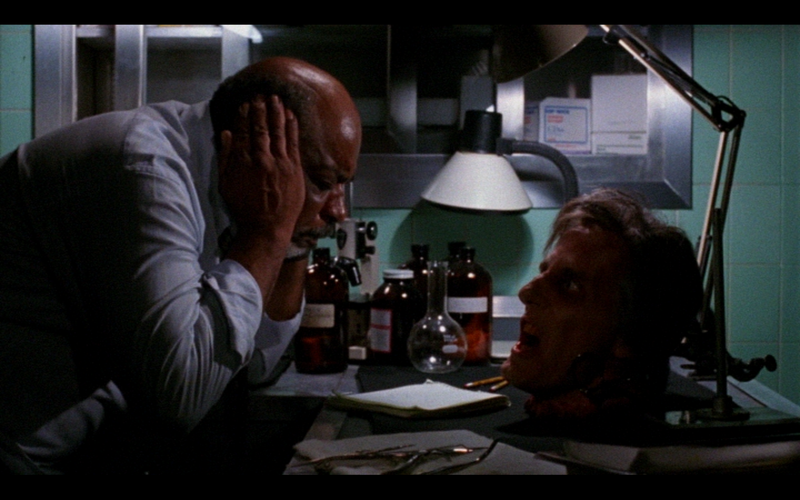 Re-Animator is one of the best horror films ever made. 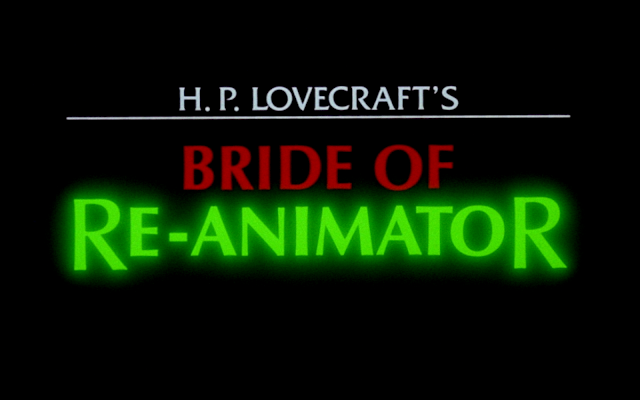 Does it's sequel, Bride of Re-Animator do its predecessor proud? 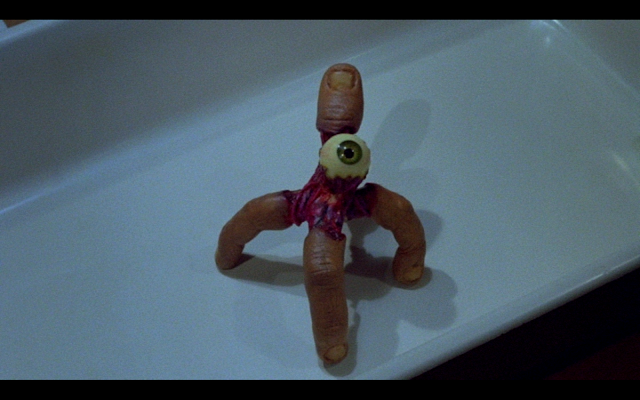 Bride of Re-Animator is a mess of a movie. The clear line to the finish, the creating of the bride, sees so many other plots crashing into it that the movie can barely hold itself together. The movie starts out with Herbert West and Dr. Dan Cain in a war zone still doing what they were doing in the last movie: bringing people back from the dead and then killing them. We are introduced to Francesca, a woman who is in the war zone for some reason other than to introduce her character. Once back in America, West and Cain continue their experiments with bringing back the dead. For the two to gain access to corpses, they take jobs at a local hospital where we are introduced to Gloria, a woman dying of, I think cancer, but she is really here to be the titular bride. Cain is kind of in love with Gloria, but once Francesca reenters the film, his love is still there, but he wants to be with Francesca. There is also some business with a detective who is investigating West for reasons best left to the movie. There is also a subplot with a Pathologist who finds the head of Dr. Hill from the last movie and reanimates it with some leftover serum. I found this subplot to be very tedious as it brings the movie to a dead halt every time the director goes back to it. I know that it is really fan service to bring back Dr. Hill, but I could have done without it. 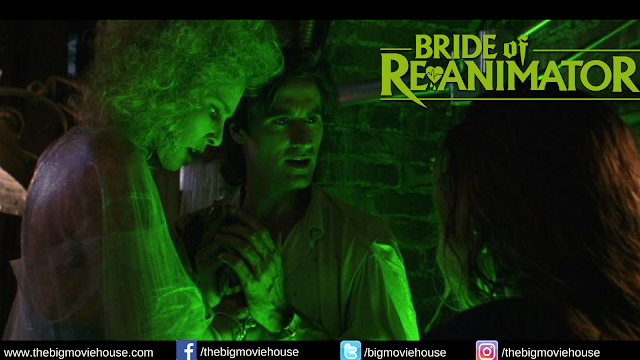 There are two things going for Bride that the movie would be lost without: Jeffrey Combs and the effects work. Combs returns as Herbert West and brings his A-game to the role. Every time he is onscreen the movie is a joy to watch. Combs plays West as a man who is driven by his work and will not let anything stand in his way. West has very little compassion for anyone around him, including his "friend" Cain. West is a great character and Combs was born to play him. The effects are also a stand out here. "Screaming Mad" George and KNB are the two main effects guys here and their work is outstanding. The centerpiece is the Bride with exposed muscle and tendons. There is a lot of blood on screen here, but it is the Bride that we remember. KNB would go on to be one of the best effects houses out there, but it always nice to see what they could do before CGI became the norm. Like I said at the beginning, Bride of Re-Animator is a mess. The script gets lost at almost every turn and the direction by Brian Yuzna could back away from the action every once in a while. He shoots a lot of the action in close-ups and it is sometimes hard to follow. 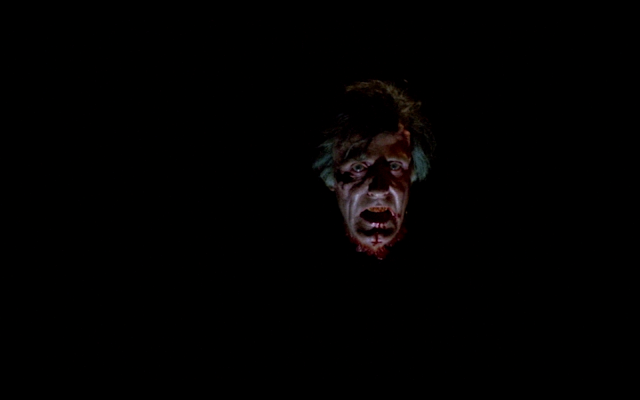 This being said, Bride of Re-Animator is still a good movie. I know it is a mess, but Combs and the effects make the movie interesting. The movie is nowhere near the level of the original, but it tries hard.